Lewis Hamilton won his first Drivers’ Championship title back in 2008 with McLaren and wrapped up number five in Mexico on Sunday driving a Mercedes. It has been an interesting journey filled with success, records and also moments of controversy for the British driver. But Formula 1 itself has seen many big moments too. 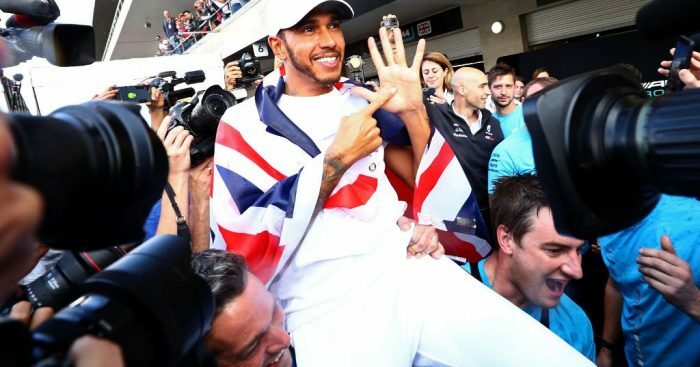 We look at the five biggest headlines from the sport since Hamilton went from World Champion to five-time legend. Growing up under Ron Dennis’ wing and winning his first World title with McLaren, Hamilton was McLaren through and through. And then he wasn’t. After six years of racing for the Woking team in Formula 1, he swapped to Mercedes. And they weren’t the only ones questioning his decision. Turns out they were all wrong. He was P4 in his first year with Mercedes, won the title in his second and went on to win three more with the Brackley squad. 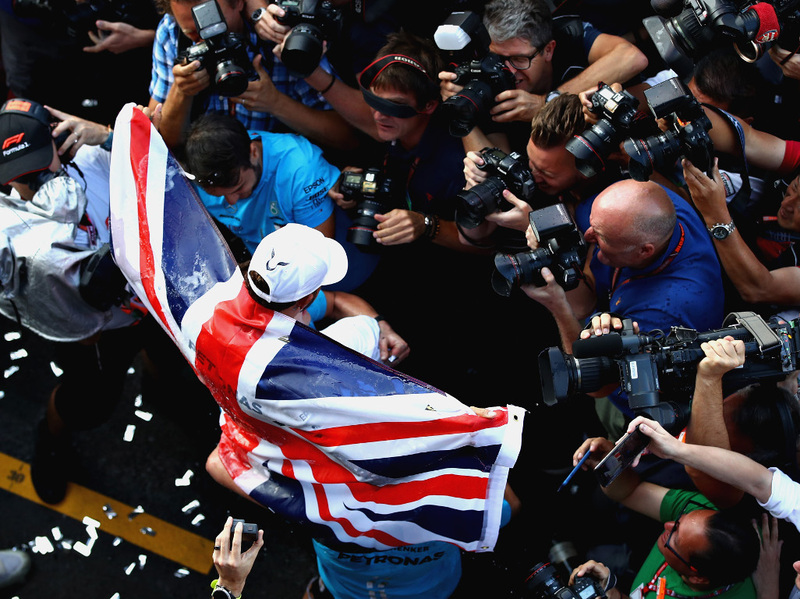 Of his 70 race wins, 50 have come as a Mercedes driver. Of his 132 podiums, 83 have been achieved with Mercedes. Of his five World titles, four were with the Silver Arrrows. Jules Bianchi was a rising star in Formula 1 and the only driver to ever score points for Manor when, despite being penalised not once but twice, he overcame the odds to finish ninth at the Monaco Grand Prix. His next step in Formula 1 was meant to be a Ferrari race seat where World Championship titles awaited the likable Frenchman. Bianchi crashed at the 2014 Japanese Grand Prix when he slid off the track in the wet and collided with a tractor crane that was in the gravel to retrieve Adrian Sutil’s stricken Sauber. The 25-year-old suffered a diffuse axonal injury and remained comatose until his death on 17 July 2015. He was the first F1 driver since Ayrton Senna in 1994 to die as a result of an F1 racing accident. A teenager too young to drive on the roads, too young to sip celebratory champagne, and probably even too young to shave. His name was Max Verstappen. Given a Toro Rosso race seat for the 2015 season, he impressed from the word ‘go’, scored points in his second race, and was promoted to Red Bull’s senior team in his second season where he won on debut. In doing so he became the sport’s youngest grand prix winner, a record that previously belonged to Hamilton (achieved at the 2007 Canadian Grand Prix) and then Sebastian Vettel (achieved at the 2008 Italian GP). With five wins on the board, but still no pole position to his name, Verstappen is being billed as the driver who will take Hamilton’s crown from him. Never let it be said that Mercedes’ success in recent years in down solely to the introduction of the 1.6l turbocharged V6 engines. But, then again, never let it be said that it wasn’t. Fifth in 2012, second in 2013, Mercedes were already on the up and up when Formula 1 decided to go with cleaner, more environmentally friendly engines. That sparked a run of four Constructors’ titles for the Brackley squad, five in the Drivers’ department and a possible fifth teams’ trophy still awaits them this season. Five doubles on the trot! Rival engine manufacturers have spent five years throwing every available penny into closing the gap, or – as it seems in Honda’s case – every available centimetre of duct tape. This has seen Ferrari level that playing field, the FIA claim Renault are up there too (Red Bull don’t agree) and Honda make massive inroads. It is, however, still Mercedes power, at least on Saturdays in that ‘party mode’, that has the edge. There is no way to sugar coat it, Alonso and Hamilton despised one another at the end of 2007, their one season together at McLaren. The double World Champion was shown up by the rookie and didn’t take kindly to it. It boiled over at the Hungarian Grand Prix when Hamilton refused to let Alonso through on the track so the Spaniard deliberately sabotaged Hamilton’s qualifying attempt. The stewards hit him with a grid penalty, McLaren with Constructors’ points and the team lost the Drivers’ Championship by a single point thanks to the ongoing squabbling. To say their relationship was icier than cold for many years after would be an understatement but, as time has gone by and they’ve perhaps mellowed with age (or at least haven’t been close rivals on track), the relationship has thawed to the point that Alonso was one of the first to congratulate Hamilton on number five.